If you have been following my blog, you may recognize this indie brand already. I swatched several of the My True Love Creations winter polish collection a couple of months ago. I enjoyed the entire collection but raved about an (as of then) unnamed red holographic jelly that has since been named Mrs. Claws. MTL has recently released a Valentine trio and I am lucky enough to be able to show you some swatches! This collection is made up of two jelly finish polishes (Cupid’s Crush and The Night’s Affair) and a glitter topper in a clear base (Sweet Emotions). Shown above are the mini bottles! A note abotu the red: My camera had problems capturing the true color. It isn’t quite so vivid in real life. The Night’s Affair is a gorgeous, milky purple jelly. 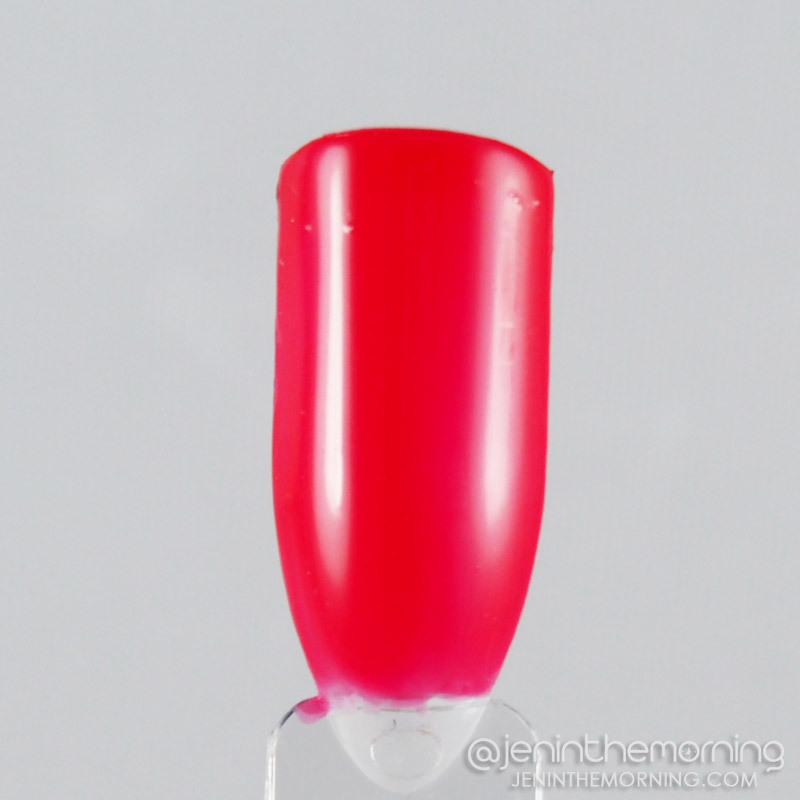 As with most jelly polishes, you need to be prepared to apply several coats to achieve full opacity. I used three coats for full opacity (though I was almost there with two). The formula was on the thick side, but very easy to control. The first coat was a bit streaky, but it built nicely! 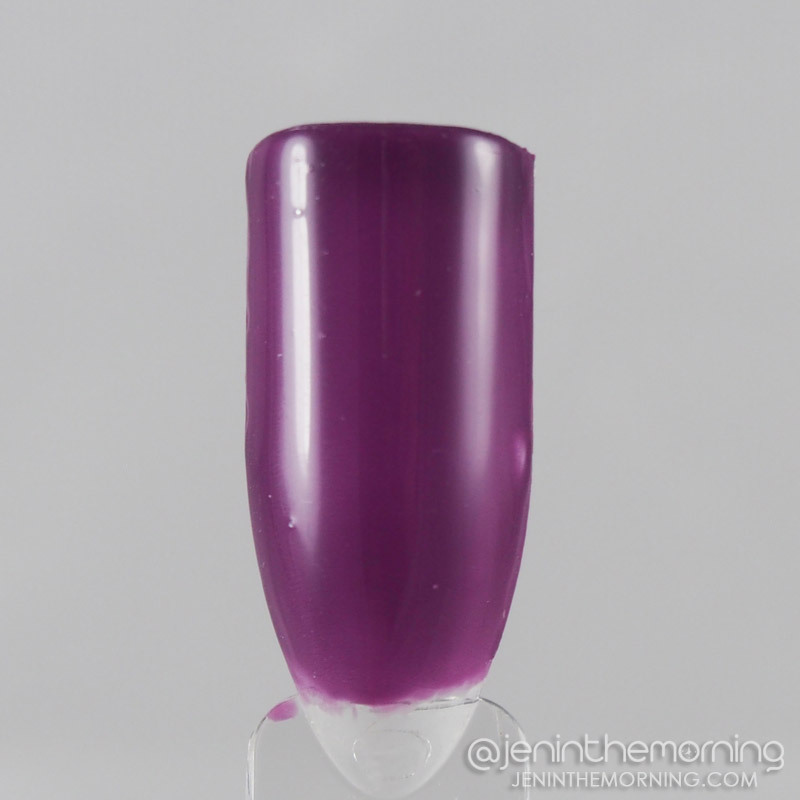 The final result, after three coats, is a gorgeous squishy grape color. This is three coats of The Night’s Affair topped with one coat of Seche Vite. 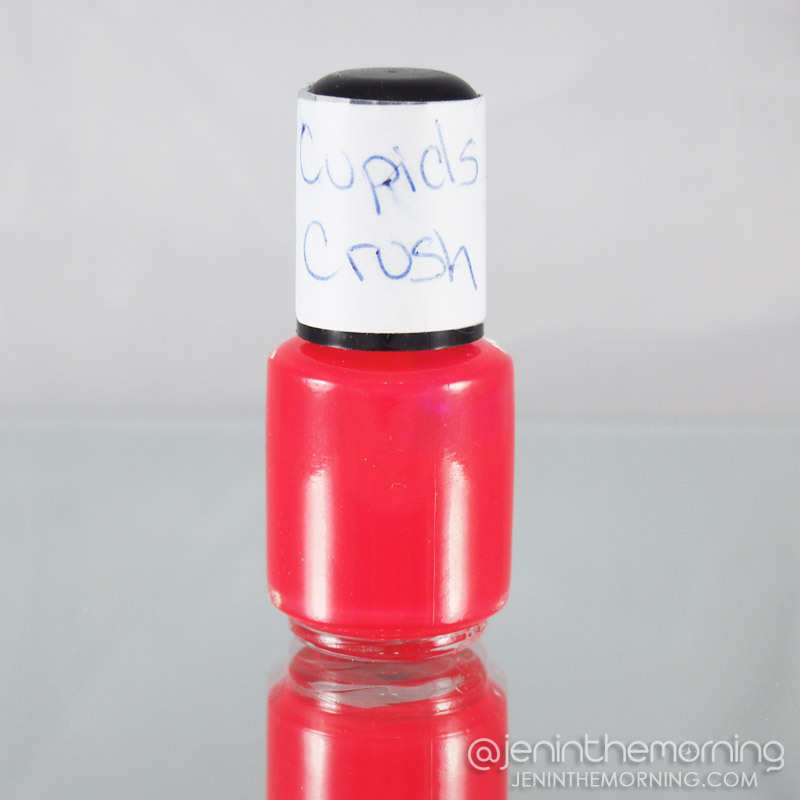 Cupids Crush is a milky red jelly that leans pink. The formula was identical to The Night’s Affair. The finish, once again, is squishy perfection! 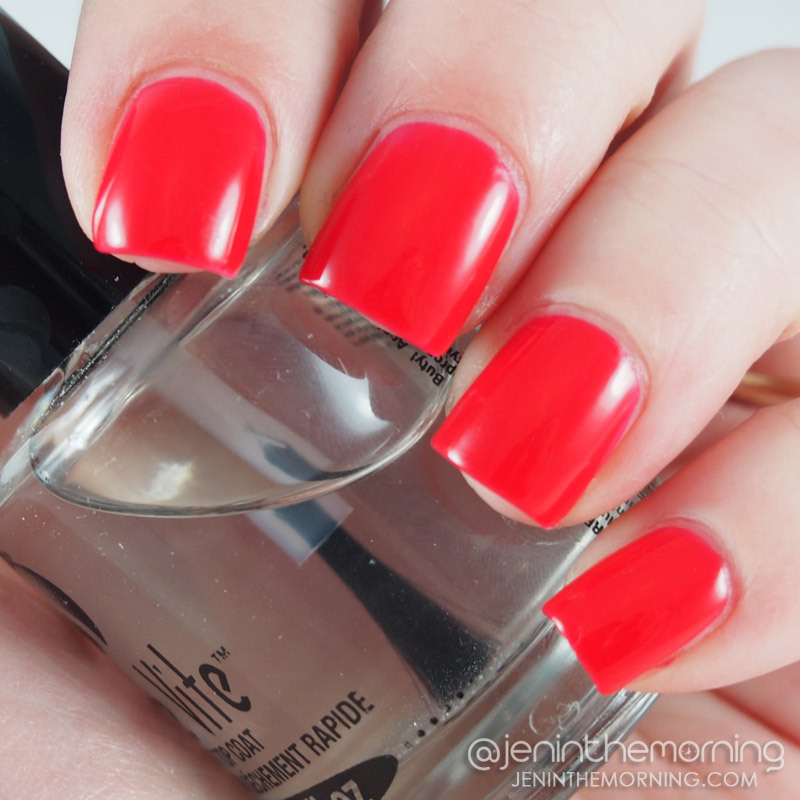 Pictured below is three coats of Cupids Cursh with one coat of Seche Vite on top. Finally, Sweet Emotions is a glitter topper in a clear base. 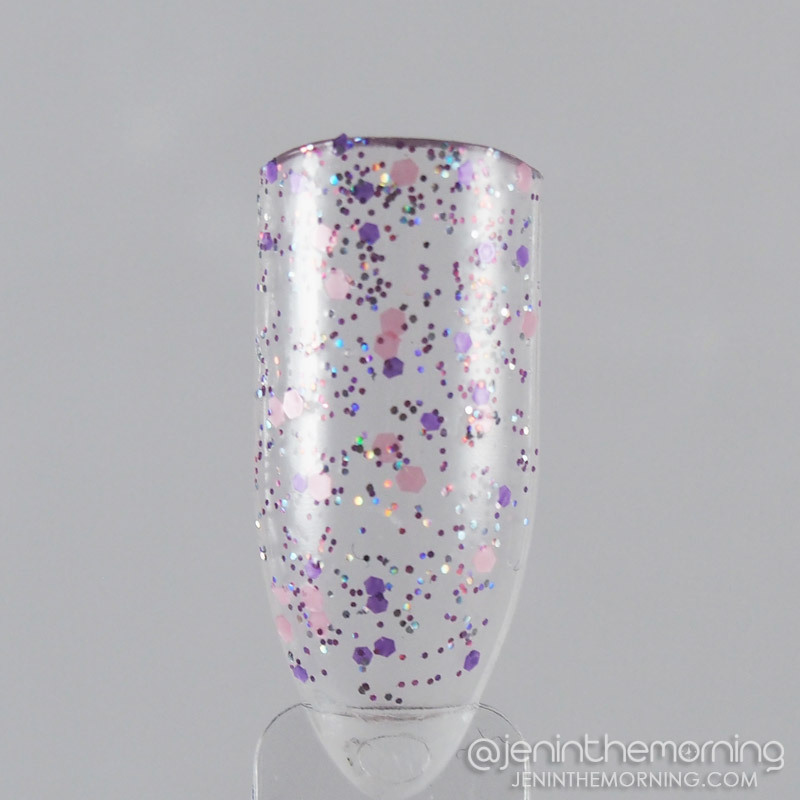 It is densely packed and pearly pink metallic pink hex glitter, somewhat smaller metallic purple hexes and holographic micro glitter. The effect is really feminine and pretty! This goes on very easily, no fishing required to get a good assortment of glitter on your nail. Pictured below is one coat of Sweet Emotions over The Night’s Affair. I did dab a little, but only to help spread out the hex glitters. Overall, this was a very no-fuss glitter! Lastly, here is a shot of the polish in the sun to show of the blingy holographic glitter! 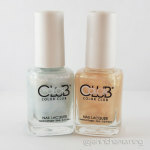 Overall, I think this is a really nice collection, especially if you have a love for jelly polishes. They are a bit of extra work because you have to use at least three coats, but the color payoff and depth is so, SO worth it! 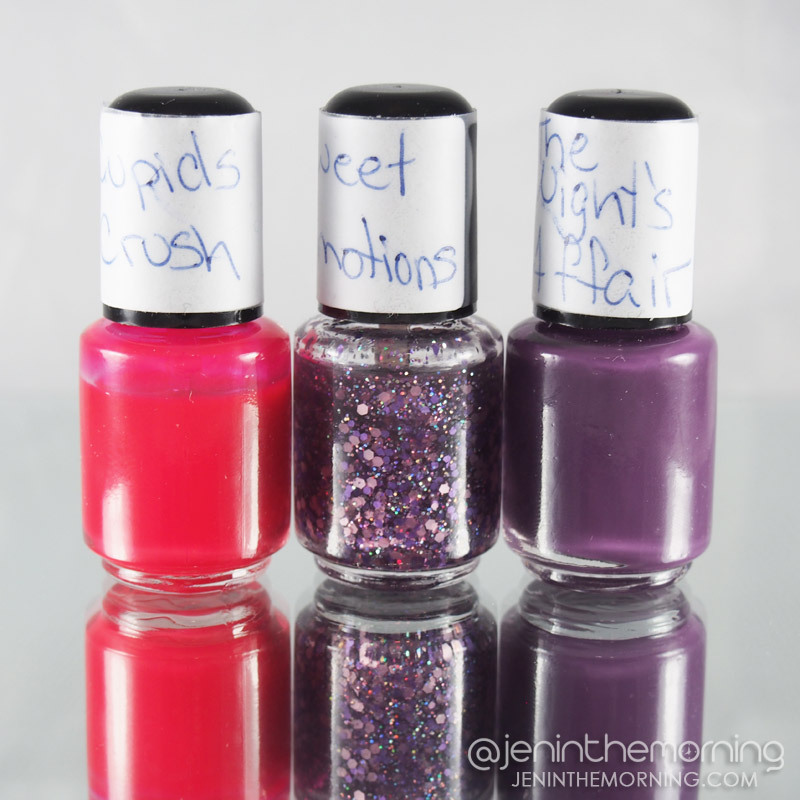 Sweet Emotions goes nicely with both colors and is a nice compliment to round off the collection! 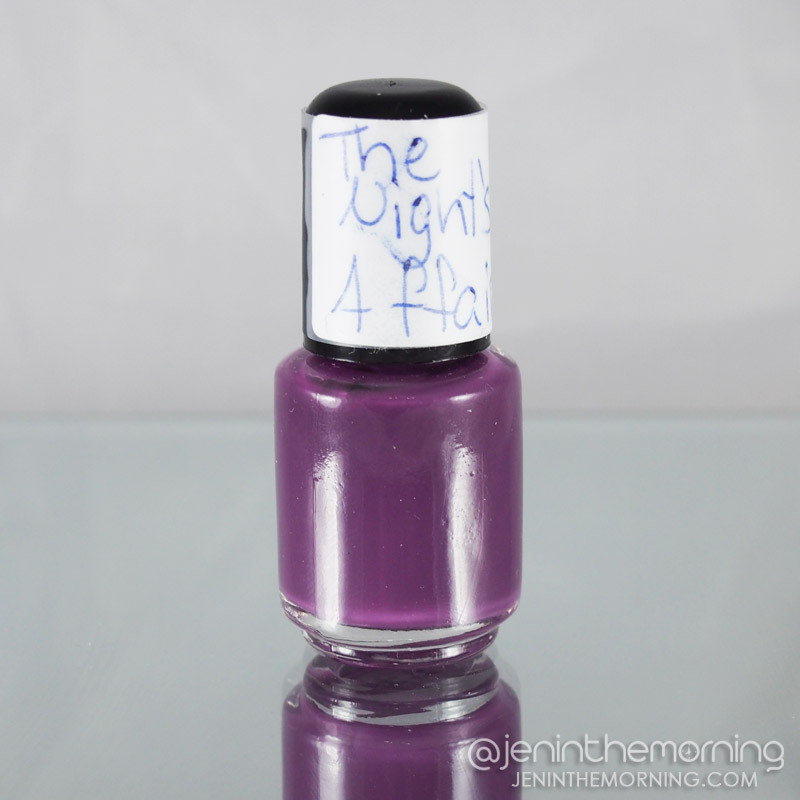 If I had to pick a favorite, it would be The Night’s Affair – I don’t wear a lot of purple, but this one was really nice with my skin tone and the finish was flawless and beautiful! 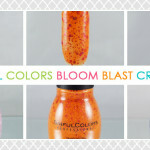 These polishes are all currently available in the My True Love Etsy shop. The mini bottles (pictured in this post) are 5mL and retail for $2.84 USD. The full size bottles are 15mL and retail for $5.69 USD.